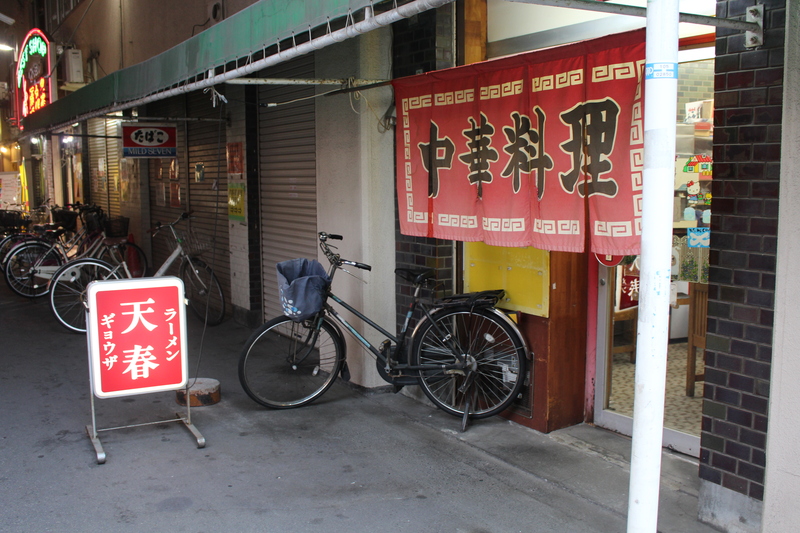 I will introduce Chinese restaurant “天春(Tenshun)” located 1 min away from SEKAI HOTEL reception. An old couple is running the restaurant. Entering there, nostalgic feeling comes into myself. It is so cozy place that I don’t think it’s first time to be there. On the table, there is a box of matches. In 80’s, boxes of matches were typical tool for advertising. But now, few people are using matches to smoke. 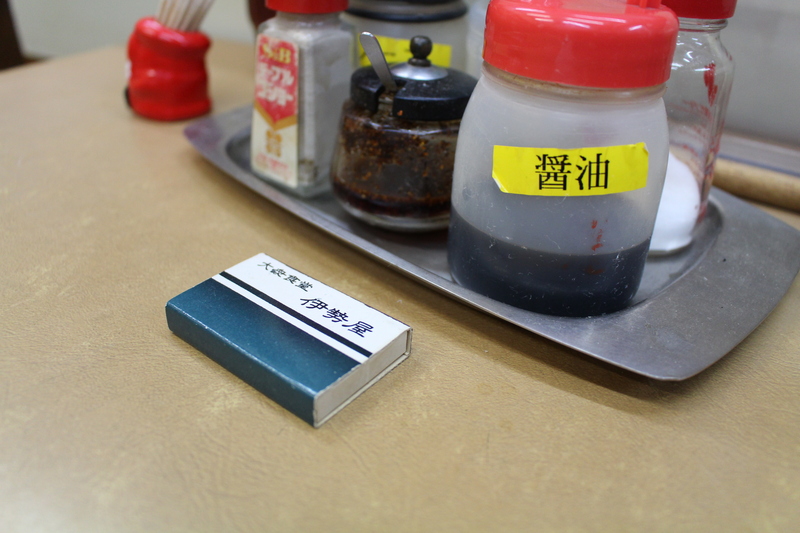 This match box also play a good roll for nostalgic atmosphere. I order Tenshin-han(crab omelet on rice) and gyoza(dumplings with minced pork and vegetable stuffing). Warm exchanges of words between owner couple are also charming point of this shop. Waiting for a while, Tenshin-han (left) and gyoza(right) have come. Both Tenshin-han and gyoza taste good. Especially souce on Tenshin-han is best! She gave me a dessert called “youkan”. 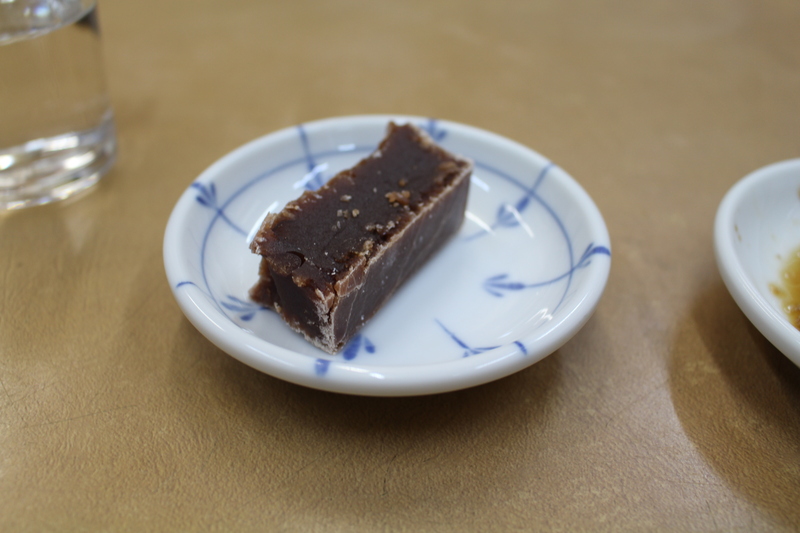 “youkan” is sweet beans jelly. I get dessert all of a sudden, but I become happy anyway. This kind of experience is not easy in urban area. It is what you can get in local area. I feel I visited grand mother’s house. 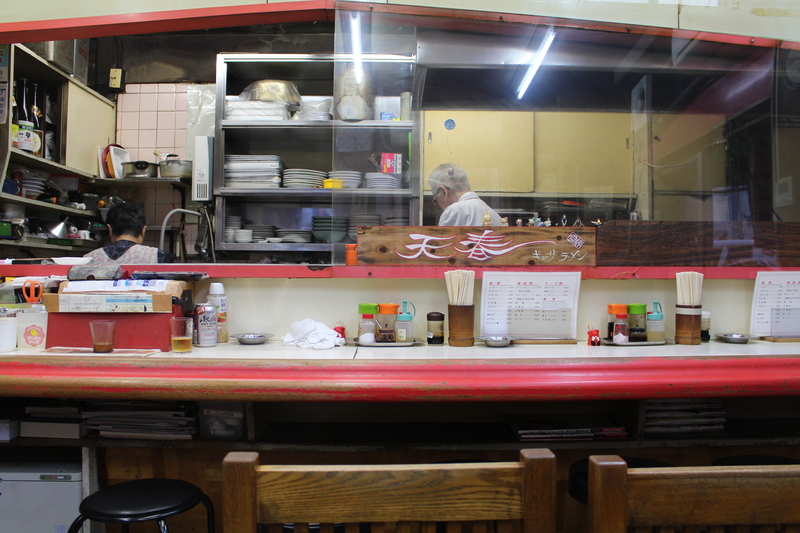 I would like you to experience nostalgic, warm atmosphere and homely Chinese taste here!